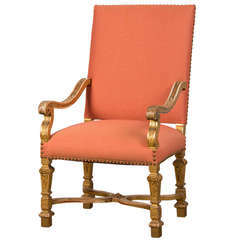 Receive our new selections direct from 1stdibs by email each week. Please click Follow Dealer below and see them first! 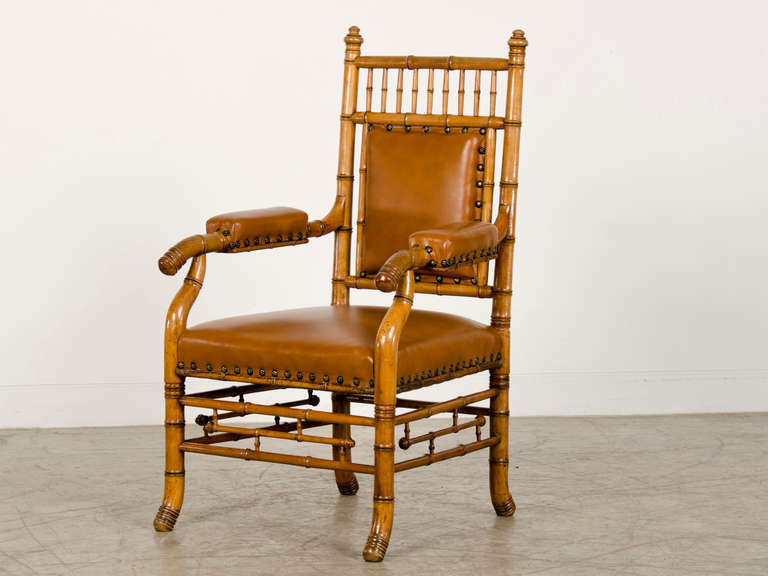 This amazing antique French chair circa 1865 has been carved from solid beechwood to mimic the grain and form of actual bamboo. 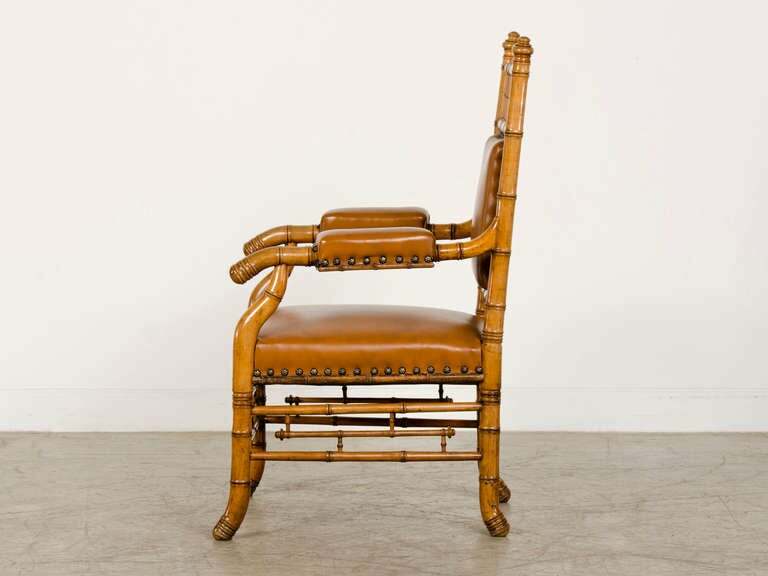 The exotic nature of imports from the Far East continued to exert a fascination amongst the inhabitants of Europe and none more so than furniture constructed of actual bamboo. 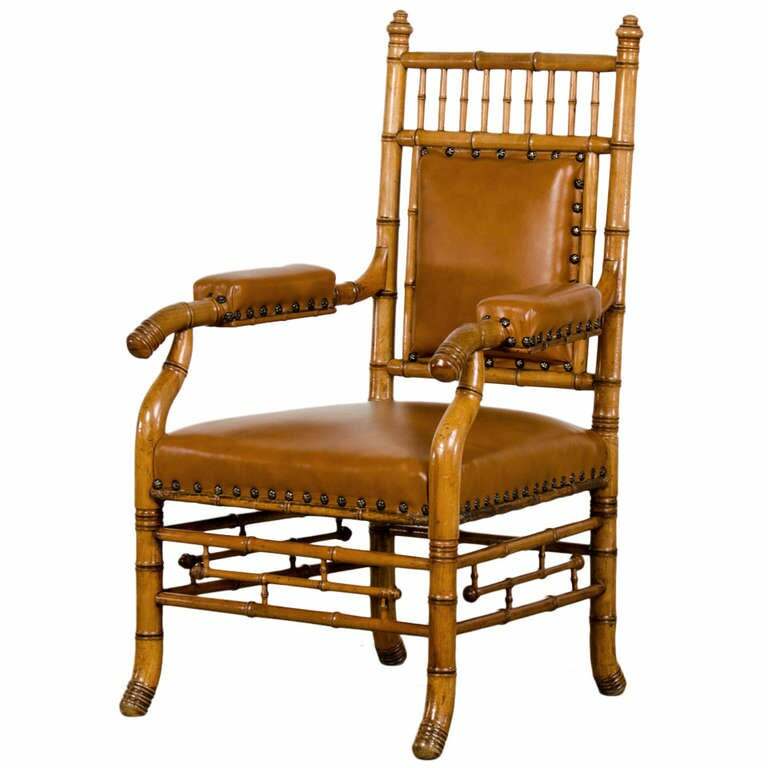 All sorts of furniture was both imported and constructed of natural bamboo to furnish the glass houses filled with rare species of plants so beloved by the wealthy in late nineteenth century France. An exceptional amount of detail is visible from any direction because the chair was designed to float within an interior. 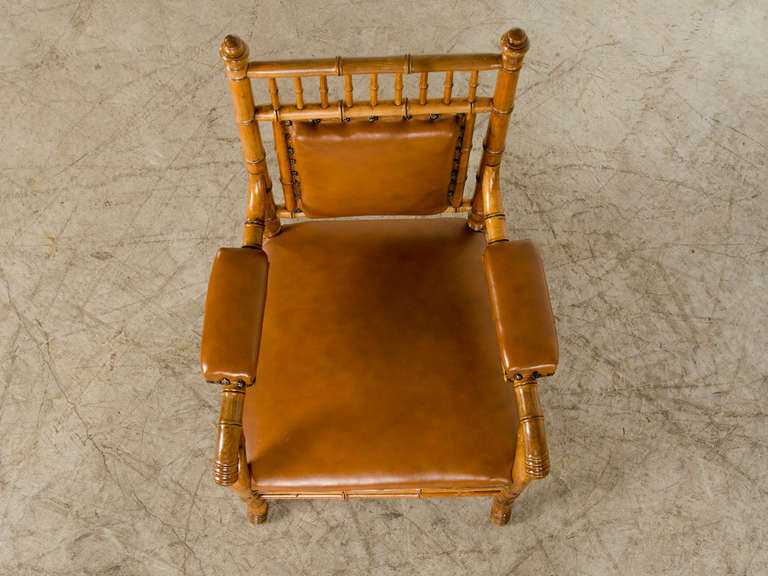 Beyond the marvelous appearance of this chair is the other most important attribute of comfort. The seat dimension is wide and deep ensuring an ability to rest comfortable for extended periods as well as a slight slant to the back that fits the angle of a body when seated. Also note the wide armrests that enable arms to also rest comfortably when seated. 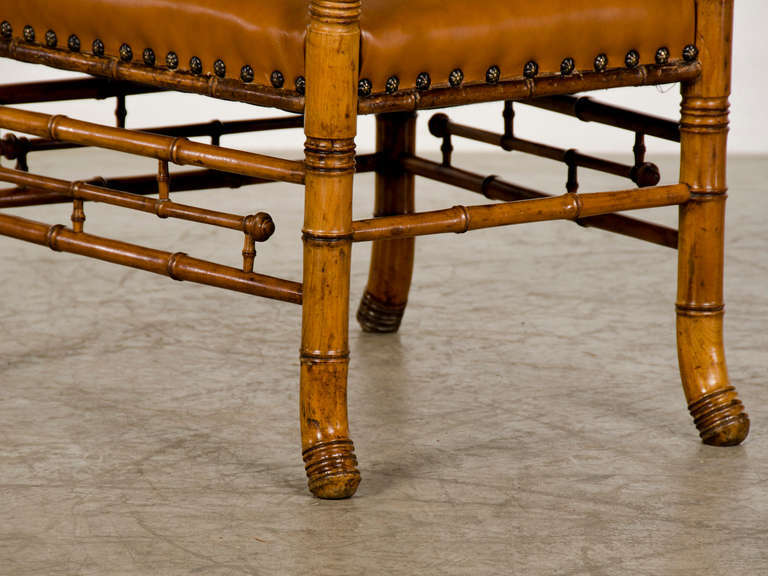 Because the chair is constructed of timber it has a solidity and density to its construction that has meant it has remained in excellent condition over the passage of years with only the lovely patina to the finish to testify to its actual age. 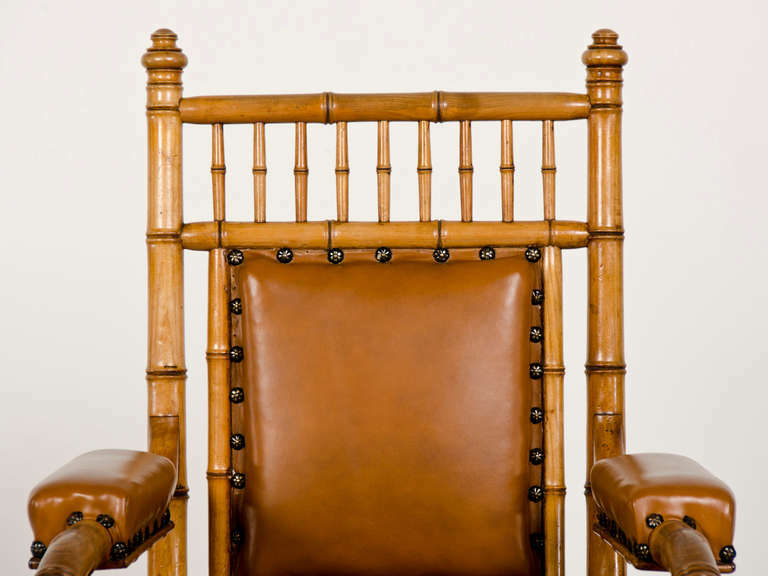 The upholstery on the chair is a rich and supple leather with a deep cognac colouration that is affixed to the frame with individually applied nail heads in a distinctive pattern. 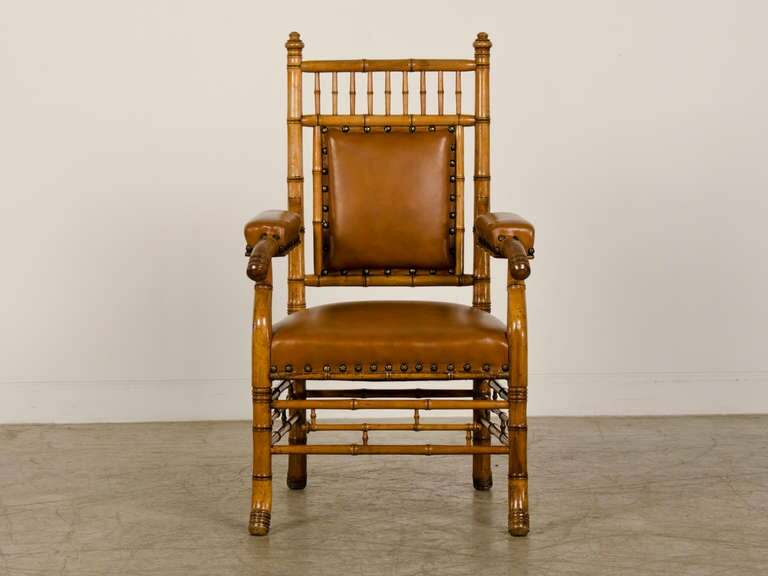 The use of the metal nail head against the leather and the timber gives a definite contrast in materials and overall effect that is exceedingly attractive. The upholstered frame of the back is set within the wooden frame with its vertical spindles at the top that define the top edge. 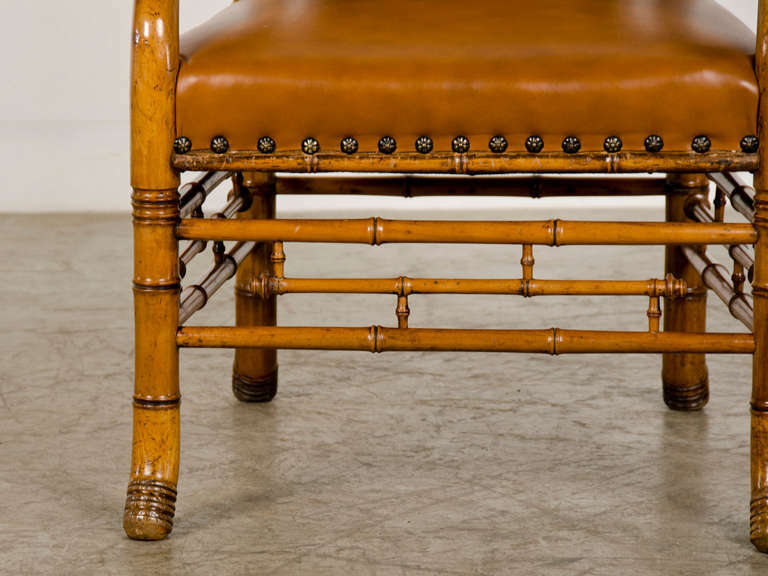 Beneath the seat on the front and sides is another distinctive pattern of tuned work but this time they are set in a horizontal configuration instead of a vertical pattern. These subtle variations in angle and scale add visual interest to the chair and set it apart from the usual examples. In a final flourish the front ends of both the arms and the front feet of both front legs are curved in shape and add to the sensibility of the chair as being planted upon the ground. This is an unusual piece of surviving nineteenth century craftsmanship that retains both its historical as well as sculptural appeal and may be used in an interior as a stand alone piece or as part of a larger seating ensemble. 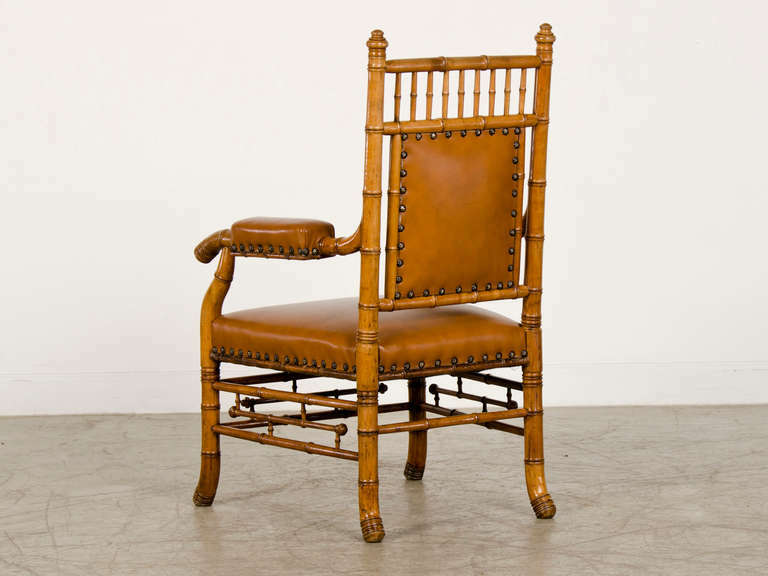 A single chair from the Napoleon III period, newly covered with antique hemp-stripe fabric. 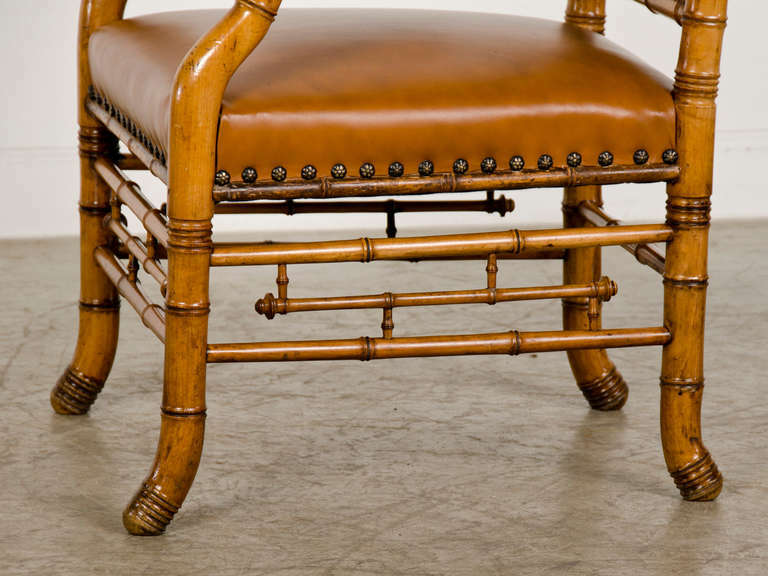 Measures: Seat 14.5 H.
Pair of antique English carved mahogany armchairs, circa 1865-1875. Seat height is 19".